class action practice | San Diego Sexual Harassment Attorneys, Sexual Harassment Lawyers in San Diego, CA. Over the past several years, Hogue & Belong has represented tens of thousands of class members in class actions throughout California against Fortune 500 companies as well as litigating against some of the most capable and prestigious law firms in the nation. 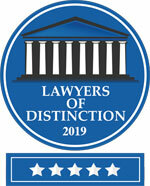 You will not find more experienced and well seasoned Class Action Attorneys in San Diego.